Crops aren't the only thing sprouting from Missouri's fertile fields. Talented minds, innovation and technology are bountiful at Southeast Missouri State University in Cape Girardeau. Located in the state's bootheel with nearly 2,500 farms, the region is growing more than 25 percent of the state's agricultural products — to the tune of about $1.2 billion in annual production. Over the last 15 years, there has been a 14 percent increase in ag-related jobs in Missouri's bootheel region. Southeast Missouri State University is helping the industry continue to grow and innovate through its Economic and Business Engagement Center and its new Agriculture Technology Virtual Incubation program. The engagement center aims to helps businesses through workforce development and to help entrepreneurs in the region. The agtech program offers producers and innovators access to agriculture technology and support. "The central purpose of this initiative is to find new opportunities to encourage innovation and offer support to the agriculture industry, a sector that is vitally important to the regional economy," said Economic and Development Engagement Center Director Crystal Jones. "The incorporation and use of technological advancements in agriculture operations are playing a larger role in the region's agriculture industry. We want to assist small businesses, including those in the agriculture industry, with capitalizing on these opportunities by providing additional services and expertise." With 12,000 students annually and more than 145 undergraduate and 75 graduate programs and more than 100 certificate programs, Southeast provides students with countless opportunities to advance in their careers. The university offers several undergraduate degree programs in agribusiness, science, technology and unmanned aircraft systems (UAS). Southeast is currently the only university in the state to offer a bachelor's degree in UAS and recently crossed state lines to partner with Sinclair Community College in Dayton, Ohio, which is a leading education institution in the new field of study. The two schools aim to leverage their partnership to improve education, workforce training and development and applied research across the shared region. UAS technology has a broad range of potential across several industries including precision agriculture, geospatial applications and health care. 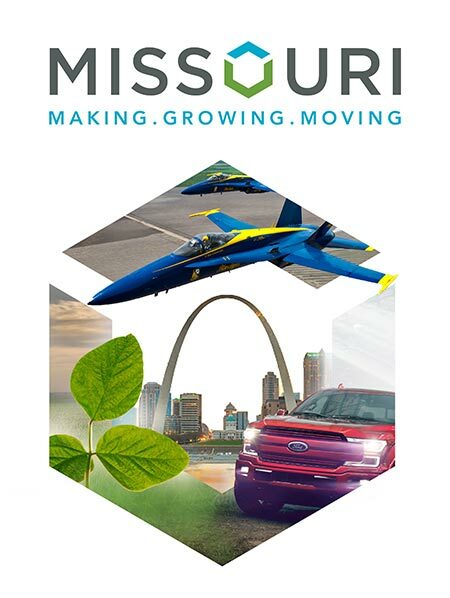 Jones notes the economic impact of UAS integration in Missouri through 2050 is expected to reach nearly $1.6 billion, create 1,978 jobs and generate more than $10 million in tax revenue. Southeast has also recently partnered with TG Missouri, an automotive parts supplier in Perryville, Missouri, to create a bachelor's degree tailored to the company's supervisory and management personnel. Employees can take advantage of Southeast's affordable tuition rates, and the company's reimbursement program, to earn their degree online while they continue to work. "I think of this as a success story," Jones says. "We, as an institution, really listened to industry and what their needs were, and we were able to design a degree program that met that need. I think a lot of times, four-year institutions take a bit of a bad rap for not responding to industry needs. This is an instance where TG came to us and said, 'This is what we want.' And we said, 'We'll deliver.' And we were able to put several elements in place to make it happen."